Today’s residents of Chula Vista have much in common with citizens of a hundred years ago. Make that a thousand years or more. Southern California has always been an arid land, with cycles of drought, interspersed with wet years every now and again. In December of 1915, San Diego’s city fathers tackled the issue from a completely different angle. They hired a rainmaker! The impetus for their decision was the unfilled Morena Reservoir in the mountains sixty miles east of San Diego. A rock-filled dam had been completed in 1912, but the reservoir had yet to be filled beyond a third of its capacity. Other reservoirs in the area shared the same problem. None were filled and the city was growing. The Council voted 4 to 1 in favor of Hatfield, though a formal agreement was never drawn up. On January 1, 1916, Charles and his brother, Joel, set up a tower beside Morena Reservoir and began work which they labeled as “moisture enhancement.” Using secret formulas that Charles never disclosed, he mixed and released various chemicals into the air. Four days later, he reported rain at Morena. On January 10th rain fell heavily for twenty-four hours, ceased for a couple of days, then fell in torrents from January 14th to 18th. The San Diego River overflowed, flooding Old Town and Mission Valley. Roads, railroads and bridges were swept away. From Balboa Park, water streamed down the hill into downtown streets. At one point, four feet of water rushed down Broadway. By January 27th the deluge reached epic proportions. In the South Bay area, the water level in the Sweetwater reservoir rose until it overflowed the dam, tearing out a fifty-foot chunk on one end. The Bonita valley became a swirling mass of muddy water taking out farms, houses, roads, railroads and telegraph lines. The Sweetwater Dam had been a tourist attraction. First built in 1888, it was raised and retrofitted a few times, until by 1915, it was the highest dam in the United States. A rail line brought sightseers to this concrete engineering wonder. A little farther South, the water level in Otay Reservoir crept closer and closer to the top of the dam. Construction on the Otay Reservoir dam had begun in 1888 spearheaded by Elisha S. Babcock who built the Hotel del Coronado. As early as 1897, James D. Schuyler, the engineer who had designed the Sweetwater Dam, warned that the rock-filled Lower Otay Dam might not survive a severe storm. His prophecy came true. No one knows for sure how many lives were lost in the Flood of 1916. Some say twenty; others, sixty. Many of the victims were Japanese farmers who lived in the valleys. In the days following the disaster, several Japanese people could be seen in boats searching the South Bay for lost loved ones. 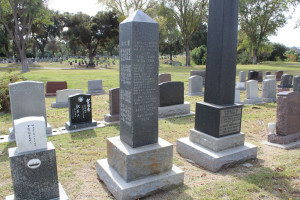 A monument to the Japanese victims of the flood can be seen in Mount Hope Cemetery. The entire San Diego area was isolated from the world, highways and railroads washed away, telephone lines destroyed. The only way in and out of Chula Vista was by boat from the yacht club dock at the end of F Street. Out near Otay Lakes is a road named after the dam’s first caretaker, Wueste Road; and in the campground at Morena Lake a plaque has been erected describing Mr. Hatfield’s rainmaking work in January 1916. Carrie, a school teacher, does her best to discourage Nate’s interest in her. Then the Otay Dam breaks and she learns that Nate is missing. She desperately wants him to know that she loves him, but it might be too late. Nate could be dead. 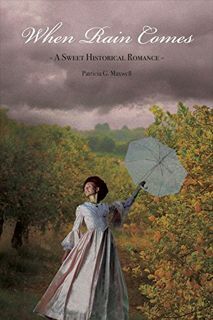 Patricia Maxwell grew up in Oregon and attended Walla Walla College in Washington state, where she started writing poetry which was published in the school literary magazine. She met her husband, Burton, at college. After they married, he became a pastor which led them to pastorates all over the country. In 55 years of marriage, they have moved 25 times! In the mid- 1960’s, in a tiny town in northwest Pennsylvania, with two toddlers, Patricia took a correspondence course in non-fiction writing. Since then, she has authored four inspirational books and many articles, humor pieces, as well as technical articles about her husband’s world-class model railroad. When Rain Comes is her first novel.